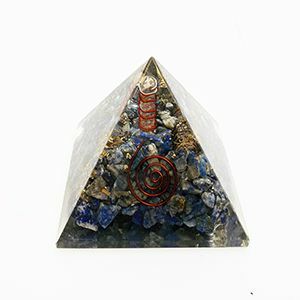 A large orgonite pyramid (approx 75mm) the pyramid is made with resin and holds small lapis chips, metal shavings, a quartz point and a copper conducter. Orgonites are used to cleanse negative energy and are also used to counteract the effects electromagnetic waves have on our body. 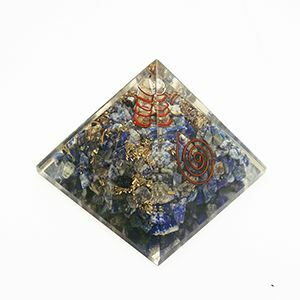 Orgonite can help improve your life physically, emotionally and spiritually.